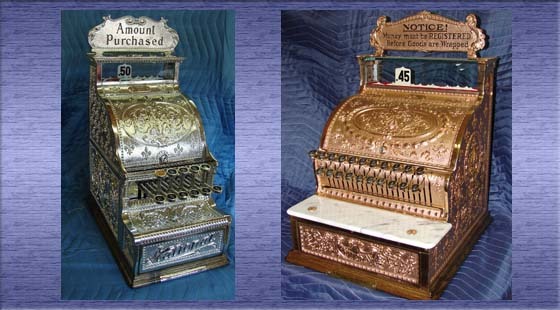 The HBAC Group, located in Western New York State, provides parts, repair, sales & restoration of old brass cash registers. 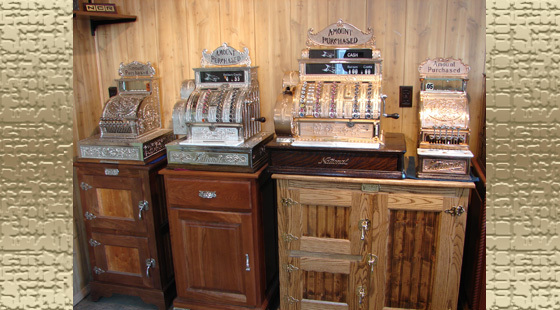 We provide worldwide service on a variety of antique cash registers, primarily from the National Cash Register Company, but also Hallwood cash registers. What started with the purchase of one old cash register has turned the HBAC Group into the largest purveyor of antique cash registers in the world. 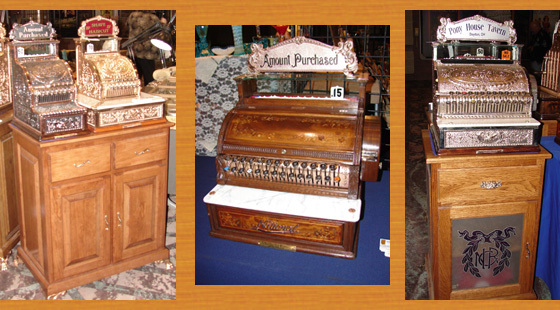 The HBAC Group has designed cabinets that are perfect for displaying your antique cash register. The cabinets are made of the best Amish hard woods. Whether you choose a cabinet with raised panels, a cabinet simulating an antique ice box, or any other design, we are sure you will be pleased. The cabinets feature dove-tailed drawers and the best European hinges and drawer slides. 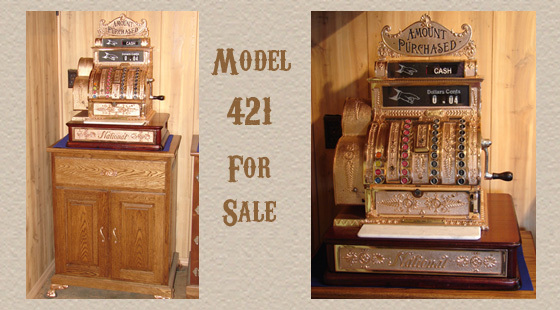 In addition, their heavy-duty construction and beautiful, but durable, finish make them not only ideal for cash registers, but the absolute perfect stand for a slot machine.